REE features copious amounts of deck space and her very large covered cockpit seats 12 for al fresco dining in addition to lovely lounging areas. REE offers a myriad of water sports options from skiing, wakeboarding and other towable toys behind the 20' ft Zodiac tender with 70 hp. Or, enjoy sailing on REE’s Lasers, windsurf, snorkel, fish or rendezvous diving. Captain Laurance Ottley started sailing in his early teens, some would say a bit late for a Brit, progressing from dinghies to offshore cruising and racing in both modern and traditional vessels. 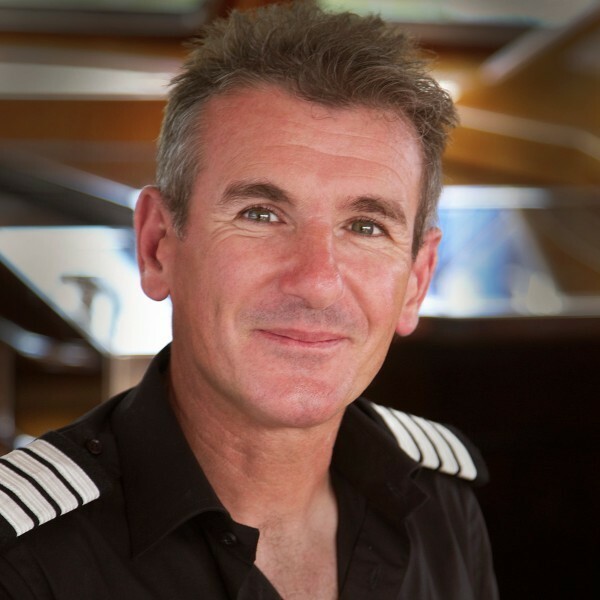 After a career in the decorating trade he took up sailing professionally in 1996. For the next 6 years he was employed first as mate, then as captain, aboard the 30 meter traditional wooden sailing ship IRENE in the Caribbean charter trade. From 2004 to 2006 Laurance was full-time captain aboard another period wooden sailing ship, Thames Sailing Barge Kitty, doing corporate charters with up to 46 passengers before moving into the super yacht sector. 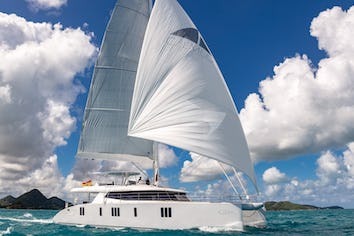 In 2008 he took command of the Hoek-designed 30 meter ketch APHRODITE cruising extensively in the Med and Caribbean with the owner and guests over a period of three years. 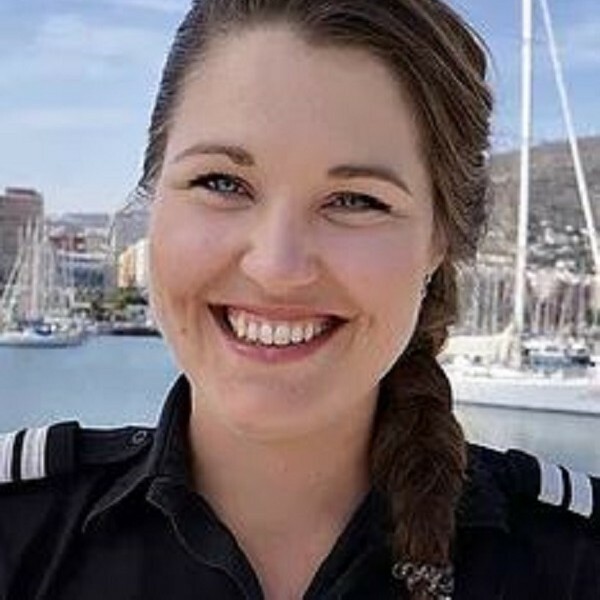 2012 presented the opportunity for Captain Ottley to return to IRENE on a voyage around the Atlantic with sail trainees and cargo as part of a sustainable transport initiative. On land Laurance loves to be 'let loose in the galley' practicing skills he has learned from working with great charter chefs over the years. Cycling is another passion. He rides road, cyclocross and mountain bikes and tours on two wheels. He once completed a 1,500km six week ride through Europe including the Swiss Alps and Pyrenees mountain ranges. 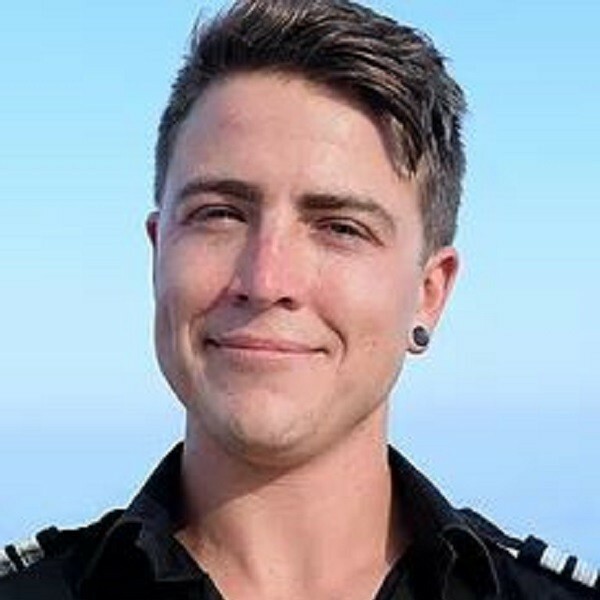 Having been on board SY REE since May 2013, Captain Ottley takes pride in his excellent crew management skills and maintaining the vessels he commands to the highest possible standards to ensure owners and guests experience the fullest enjoyment wherever they cruise. After a decade of devotion for cooking in restaurant, she has left kitchens and stoves to cook for luxurious adventure tourism company in Iceland. It is her first time on sea but she is ready to affirm her style and to share with us her knowledge and the treasures acquired from her travels. The crew of REE were just fantastic in every department! Our guests who had not experienced a sailing holiday before thoroughly enjoyed the trip. The rest who have sailed before thought this experience was exceptional! We are already thinking of our next holiday! Thanks again for all your efforts and our best regards to the exceptional crew of REE! One week on this yacht with this crew is the ideal holiday. Laurance has a terrific knowledge of the area and options for anchorage. He exhibits a firm command of the crew and sailing, which put us at ease. He also took the time to teach our children some free diving techniques and was very patient with them. Anthon struck us a highly competent engineer as well. Gaelle is so very talented with table decorations that made our meals feel special and charming. She arranged great fun for the children on NY eve and a treasure hunt on our last day. Marina is a terrific bartender and always pleasant too. 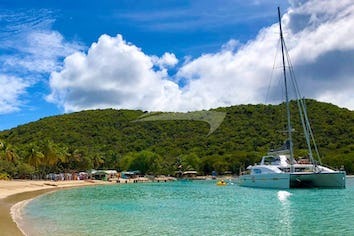 Best of our 7 BVI charters. I have never felt more confident in a captain. Laurance and his crew sail Ree like never before – really appreciate the use of wind rather than engine. It was lovely to find such good snorkel masks and other gear this year. Fussy children were brilliantly catered for by the chef. The crew was warm, welcoming and spoiled us in every way. The food was beautifully presented, delicious, healthy and fun! Our food allergies were handled with ease. Cruising was wonderful, all that we had hoped for. It was a trip of a lifetime and we loved every minute. This was by far the most pleasant experience I’ve ever had. Growing up on boasts I thought I knew what to expect however this exceeded any and all of my expectations. Captain Laurance did a wonderful job in selecting a diverse and adventurous experience. While we loved Ree and the Spanish Isles, it wouldn’t have been nearly as special without her WORLD CLASS crew! I wanted to take the time to thank you and the crew for what an amazing two weeks. It was the best vacation that we have ever taken as a family (everyone agrees 100%). The boat was amazing, the islands were amazing but the best thing about our vacation was the crew and the wonderful relationship that we developed with you all. I have been in the hospitality business for 20+ years and I can say this, you guys are the best. Not only was everyone a consummate pro, you are all wonderful people. My family is very fortunate to have met you all and we hope someday that our paths cross again! We would love to keep in touch so if you could send us everyone's email, we would appreciate. Feel free to give mine out too. Let us know if anyone is ever in our part of the world, we would love to host you at our house. Laurance was the most hands-on and engaging captain we have had on all 5 Caribbean cruises. We enjoyed the cruising area, especially snorkelling in Pigeon Island. We appreciated the variety of options for lunch and the lovely table arrangements. It has been a truly memorable cruise and we can’t thank you enough for all the care and hard work you have put in. Thank you Nuria for the wonderful food and your endless patience in providing so many different dishes to please everybody. Thank you Monika for your tireless efforts running up and down those stairs with all the dishes, the attractive table settings and above all the superb cocktails. Gaelle you are wonderful with the children, and have been so kind to the little ones on top of all your other duties; the immaculate laundry and beautifully serviced cabins. Andrew & Callum you have worked so hard providing and helping with the watersports, shifting the deck furniture always with a smile and a pleasant word. As captain Laurance you have done a wonderful job coordinating it all in such a friendly and helpful manner. Please accept a big thank you from all of us. Hats off to Capt. Laurance Ottley & S/Y REE's New Crew! (The crew) were sensational. Amazing people who gave themselves to our trip in any way we asked. Food was insanely amazing - some of the best I have ever eaten. Five star, just amazing. Absolutely stunning every day. The presentation was immaculate. We had a great time on REE. The crew were a pleasure to be with, the food excellent, the first mate an absolute rock, the stewardesses incredibly efficient, the engineer keeps the whole complex machinery working and the captain runs a tight ship. All of them could not have been nicer, they were great. 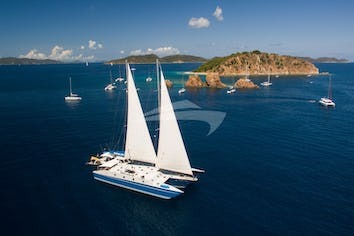 And of course in all aspects REE is a very comfortable yacht - comfortable to be on and to sail. The client's Personal Assistant . . . said that it was a huge success. Everyone had a great time. One of the guests who always has something (critical) to say . . . said that the food and service was better than any 5 star restaurant or resort that they have been to. The crew took excellent care of them; very concerned and caring. So, I would like to thank you for taking such good care of my clients, and if you ever need a referral, please give my name and number. You hit it out of the ballpark!!! It was a fantastic charter and Mr G was very impressed with Captain Matt… he said that Matt is ‘a real yes guy’, meaning that nothing was too much trouble and Matt was keen to do anything to make the guests happy. He also adored Nadine’s food. The boat was beautiful and immaculate. All party commented that the brochure doesn't do her justice; maybe something that needs looking at! All crew worked extremely hard to ensure we had a great time and were very sociable. Looking forward already to the next one. "Captain and Crew, Absolutely fabulous sailing every day! Fantastic food, tremendous hospitality, and great fun with all the toys. This was the third year in a row sailing in the Caribbean and the best, with wonderful weather, winds and warmth. We will take back many magic moments. Many thanks!" "We've been lucky enough to go on a few great sailing trips, but never as good as this one! Just brilliant, thanks so much"